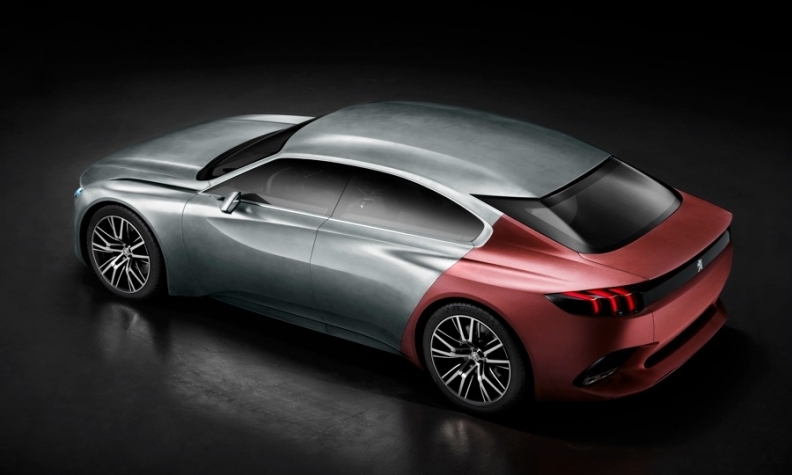 The Peugeot Exalt concept's heavy use of exterior graphics follows a trend some car designers find unappealing. Car design is at a crossroads. There is more diversity in form language today than ever before as each company defines its own expression. There is, however, an increasing trend toward consistency across brands and segments that has some design executives worried. Volkswagen Group Design Director Walter de Silva blames aerodynamics for the trend. He says designers are under pressure to make cars more wind-tunnel friendly so they are more fuel efficient and produce fewer CO2 emissions. He says this will lead to complex-looking vehicles cluttered with unnecessary exterior graphics. "A wind tunnel does not care about brand image," de Silva told Automotive News Europe. Ford of Europe Executive Director of Design Martin Smith disagrees. “There are many ways to design an aerodynamic vehicle. Look at the most recent Mercedes cars: they are very efficient. They don’t look at all like they were designed by the wind tunnel,” Smith told ANE. Wagener has redefined Mercedes’ design language since succeeding Peter Pfeiffer in 2008. His influence can now be seen in products such as the CLA, GLA, S class and S-class coupe. The consistency of the Mercedes look is not new, however. “The industry is beginning to realize, consciously or unconsciously, that the design of a car is not just about looking a certain way but about signifying the brand,” Sam Livingstone, director of UK-based consulting firm Car Design Research, said. Mercedes, BMW and Audi are embracing this trend with smaller and larger versions of vehicles that have a common aesthetic. Livingstone said that this trend will only increase as brands aim to make their mark on a new customer base in emerging markets. BMW says the Vision Future Luxury concept highlights its philosophy of modern luxury. While purity is a buzzword in the industry, sheer surfaces like those seen on the new Volkswagen Golf appear to be giving way to more voluminous, sensual forms while, as de Silva fears, layered surface treatments are also increasing. The key takeaway is that brands are looking to create an emotional bond with the consumer. 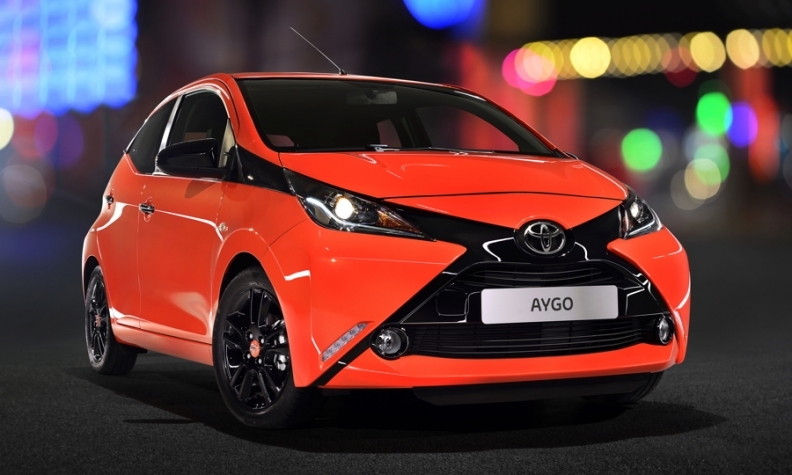 Toyota's new Aygo minicar differs from its Peugeot and Citroen siblings because of its eye-catching front-end design. While the graphic orientation trend is most obvious in the front end treatment of the new Toyota Aygo as well as the doors and fenders on the Citroen C4 Cactus’ Airbumps, the so-called “floating” surface treatment is illustrated on BMW’s i vehicles, which communicate a visual lightness. Headlamps and taillamps remain vital elements in communicating brand identity and signaling technologically advanced products. For the last several years, Audi has employed a thin LED strip in the headlamps of every vehicle line, a move other brands have followed. The new trend is that lamps are getting smaller. “It will become a major, perhaps the major signifier of a car from the 20-teens,” Livingstone said. “Large lights will start looking old fashioned. Small lights are the trend.” Separately, Audi and BMW are racing to be the first automaker to offer a production car with the next frontier for headlamps: laser lights, which are due to debut on a model during the second half of the year. 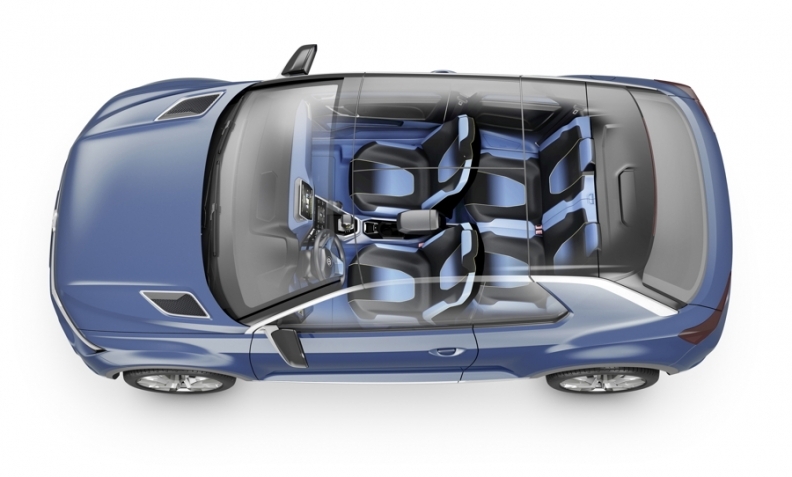 Interiors now offer more expressive colors such as the VW T-ROC concept's blue leather seats. Recyclable plant fibers and PET bottles, as well as environmentally friendly textiles and leather tanning techniques, are featuring alongside the progressive integration of more “technical” materials such as aluminum, carbon fiber and synthetic polymers. Wood is now being treated differently in seemingly endless variations, from open-pore applications to untreated finishes, while leather is being shown in a variety of quilting patterns and gradient changes. Gradation can be seen via perforations on BMW’s 2 series and in color on the VW T-ROC’s blue leather seats. Derived from high-end fashion and furniture, quilting has begun to trickle down from the luxury segment to mainstream models. Playing to these trends, Mini chose to use a blue-limed ash grain -- a fresh way to accentuate the traditional material -- as well as a quilted X pattern on the light blue seats of the Clubman concept. Reducing switchgear in the cabin reflects an increasing trend toward simplification and adds a sense of spaciousness. 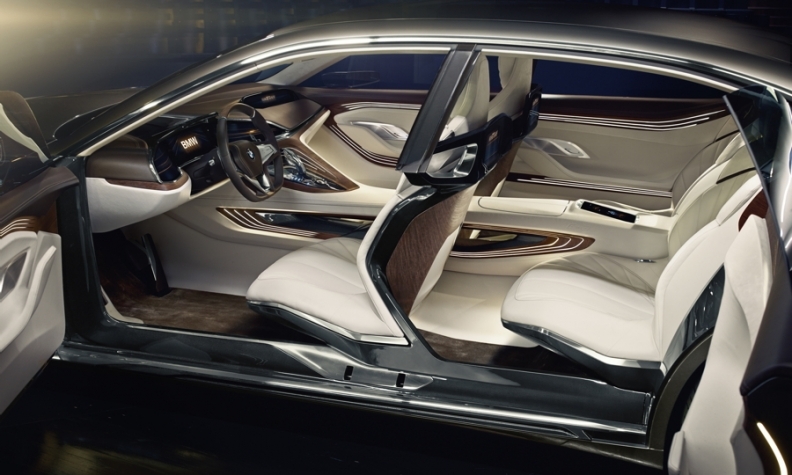 Two-tone instrument panels, where the lower half is a lighter shade than the top half also gives the illusion of increased space, as do floating seats hanging cantilevered from the center console. 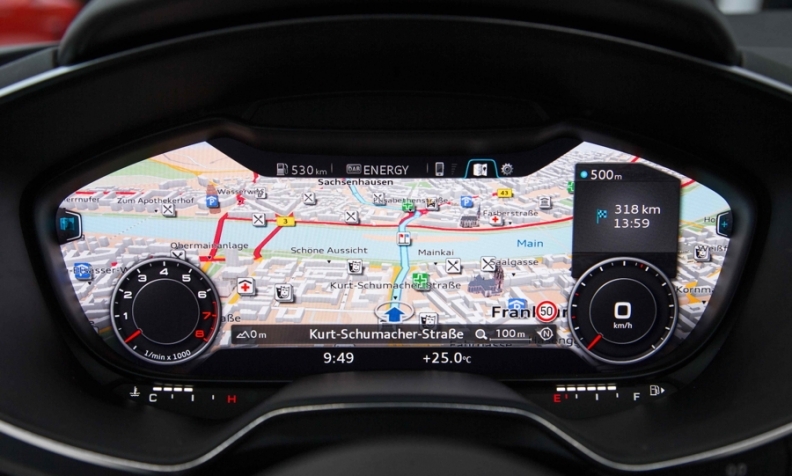 The new Audi TT features a 12.3-inch instrument panel that also serves as the navigation system screen and infotainment display.